The Dot collection showcases these alluring John Hardy drop earrings. 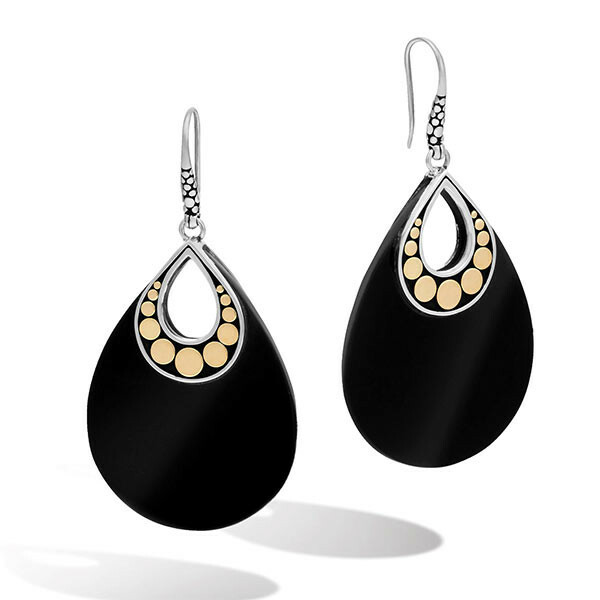 Carved from black onyx, the gorgeous raindrop shapes are adorned with 18kt yellow gold dots and sterling silver accents, and they dangle from sterling silver French wires that are hand carved with more small dots. Place this sophisticated set of John Hardy earrings in your ears for an exquisite look.